Pests and birds can affect any property at any time, and if you run a business, an infestation or unwanted visits by birds can cause plenty of issues, even forcing you to close your business while the problem is resolved. At Envirotec, we offer insect extermination, pest control and bird proofing services to domestic and commercial clients across the East Midlands and Yorkshire, doing so with total efficiency, care and skill. From rodents to birds, to crawling and flying insects, we can deal with a number of issues within your property. Our work is in total compliance with COSHH, and we’ll ensure a thorough risk assessment is carried out before we take any action – nothing is left to chance. Once the work is completed, we will provide a full report of our findings, so you have full details of the work we’ve done and the pests that were in your property. We don’t just offer reactive services, either – we will proof your property against any future infestations with the installations of wire mesh, bird spikes and trapping methods for aviary issues, as well as fly doors and screens for insect-based problems. 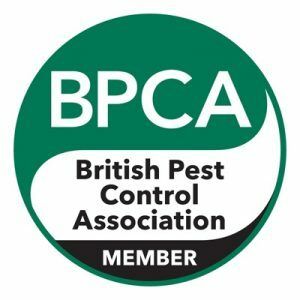 For more information about our pest prevention, bird proofing and vermin control services, get in touch with us today and we’ll be more than happy to help. Ideal for all commercial and domestic areas including food processing areas. Unique Transformer minimises the shattering of insects, hands free guard opening for easy service, power on and grid on warning lights, available in white or stainless steel and we also provide conventional zapper units and the now more widely used and preferred sticky board units.